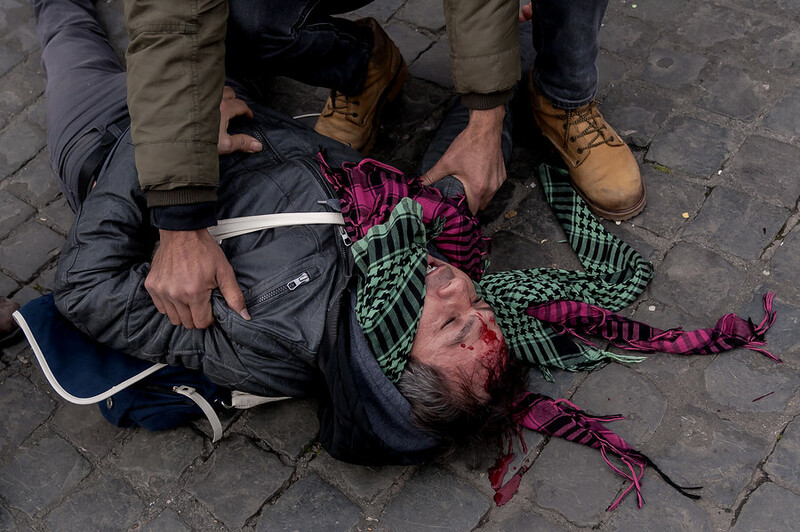 Dozens of demonstrators clashed with police near the Vatican during the Turkish president’s visit to Rome, as protesters denounced Recep Tayyip Erdogan’s presence amid Ankara’s anti-Kurdish military campaign in Syria. 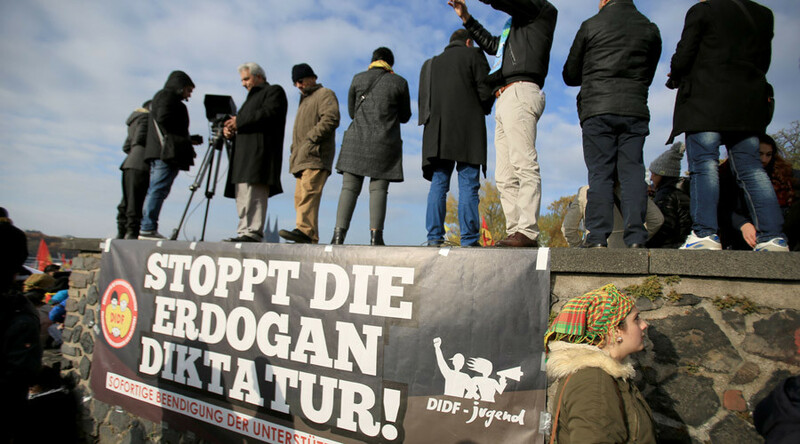 Despite Pope Francis’ 24-hour ban on city center demonstrations, around 200 Kurd supporters turned up near Castel Sant’Angelo on the banks of the River Tiber to stage a sit-in protest. The demonstration turned violent after protesters tried to march closer to Vatican, where Erdogan and Francis were meeting. Some pushed through police cordons to have their voices heard in the Vatican, resulting in two arrests. At least one demonstrator was injured in the scuffles, with pictures from the scene showing a man with a bloody forehead injury lying on the ground. A demonstration was earlier authorised several blocks away from the Vatican, and some 3,500 police officers were dispatched to Rome in preparation for president Erdogan’s official visit Monday. 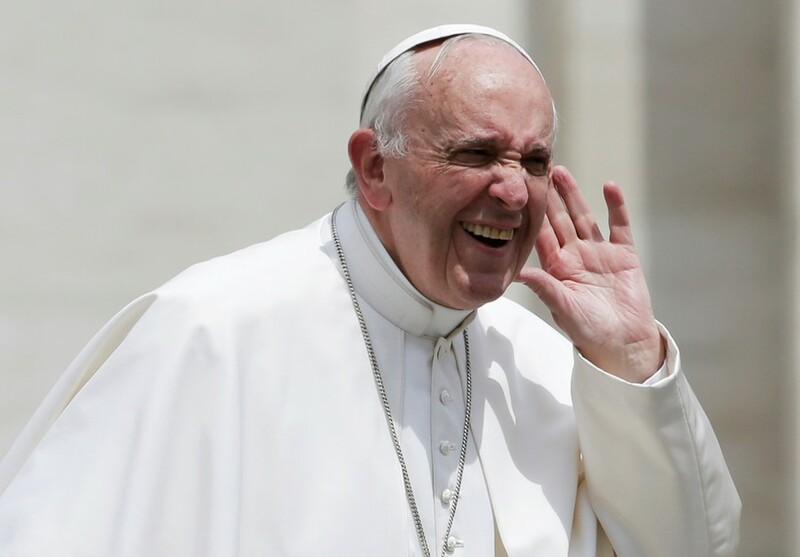 Pope Francis put the city on lockdown to facilitate the safe travel of Erdogan’s motorcade. 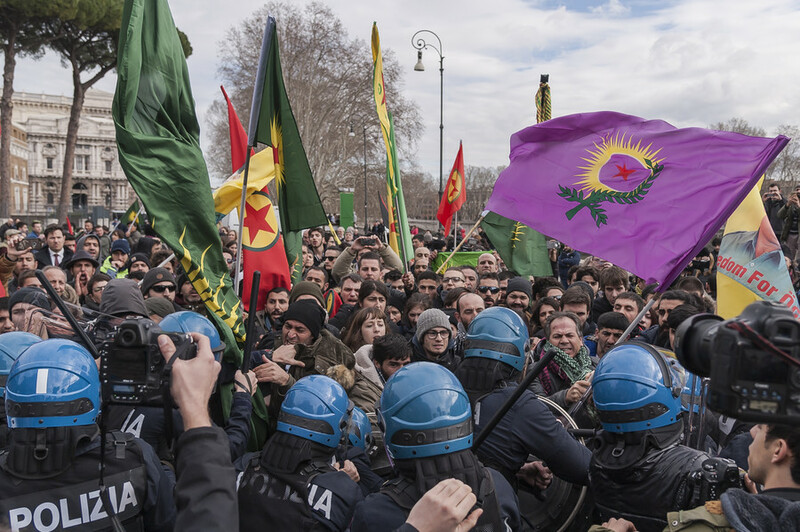 The protests took place despite Italian authorities banning protests for one day in “green zones,” spanning the Vatican, Erdogan’s hotel and Italian palaces. Erdogan was returning the gesture by Pope Francis who visited Turkey in 2014. The trip marks the first visit by a Turkish president to the Vatican in 59 years. The pair met privately for around 50 minutes and discussed “the situation in the Middle East, with particular reference to the status of Jerusalem, highlighting the need to promote peace and stability in the region,” as well as the condition of Catholics in Turkey and Ankara’s reception of refugees, according to a statement from the Vatican. 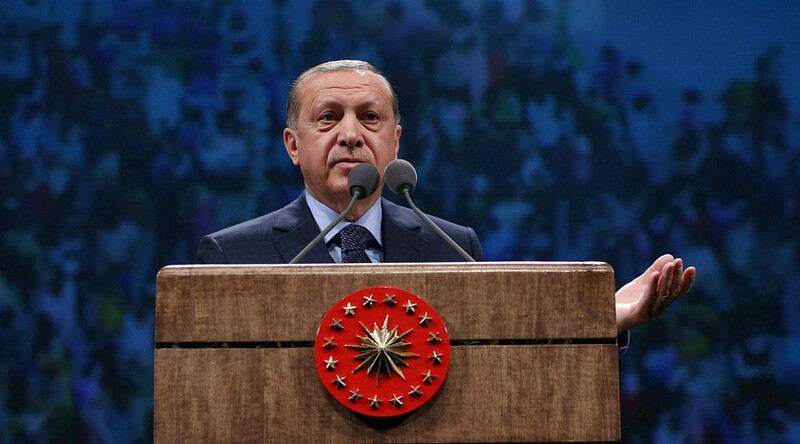 The meeting concluded with Francis presenting Erdogan with a bronze medallion which featured an "angel of peace who strangles the demon of war” as a “symbol of a world based on peace and justice." Erdogan’s trip to Italy comes as the Turkish army is engaged in a military campaign in Kurdish-held Afrin in northern Syria which sparked a wave of protests abroad. 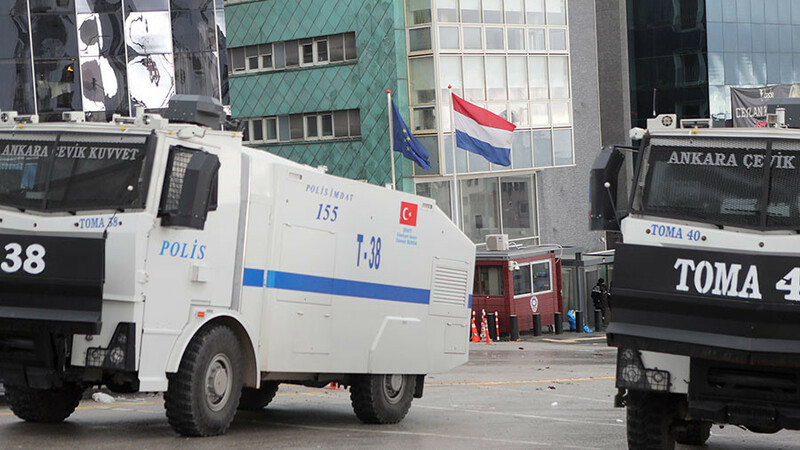 Dubbed ‘Operation Olive Branch,’ it’s targeting Kurdish groups such as the PKK and the Kurdish People’s Protection Units (YPG) which Ankara considers to be terrorist groups. Ankara says it wants to prevent Kurdish militias from “infiltrating” Turkey and aims to create a 30-kilometer “secure zone” within Syrian territory. While Turkey claims hundreds of “terrorists” have been killed, the Kurds have accused Turkish troops of targeting civilians. Some 15,000 people have been displaced since the start of the offensive, according to UN figures.